As opposed to the situation in many other countries, Dutch universities do not have cursory PhD-programmes with a certain number of positions per year. Our system is based upon proposals and grants, and it involves lengthy application procedures (duration at least one year, with a rather low score chance). In practice, this means that we apply for a position first, and start looking for a candidate once it has been granted. 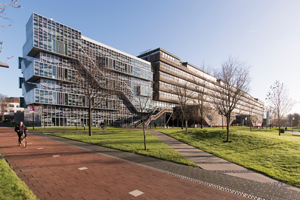 All current positions and PhD opportunities are published on the Delft University of Technology website on the following webpages. Working at TU Delft or on our own website on this page. For more information about doing your PhD research project in Delft, check out PhD at TU Delft. If Delft University cannot offer you education, take a look at the UNESCO-IHE Institute for Water Education: PhD Programme webpage.